CURRENT POSITION: Full Professor of Industrial Bioengineering at the Department of Chemistry, Materials and Chemical Engineering ‘G. Natta’, Politecnico di Milano, School of Industrial and Information Engineering. Retired on March 1st, 2014. Education, Career, & Awards: Master Degree in Chemistry and Pharmaceutics (1975, with honors) and Specialization Degree in Experimental Pharmacology (1979) at the Milano University. She was Associate Professor of Chemical Bioengineering and Full Professor of Industrial Bioengineering at the Bioengineering Department, and starting 2013 (until March 1st2014 when she retired) at the Chemistry, Materials and Chemical Engineering Department of Politecnico di Milano. 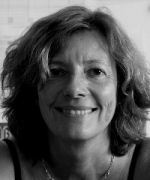 She was Director of the Laboratory of Biomaterials and co-Director of the BioCell Lab (Laboratory of Biocompatibility and Cell Culture) at Politecnico di Milano. Teaching activity: “Biomaterials” and “Tissue Engineering and Biomimetics” at the Master and “Chemical Bioengineering” at the Bachelor Degree of Biomedical Engineering. She is Author and Co-Author of more than 250 scientific papers, 12 Italian Patents and 9 International Patents on monomers and polymers for environmental, pharmaceutical and biomedical application.